Green trends in Disc Replication, Printing and Packaging. Most often when discussing CD and DVD replication, the conversation revolves around the production aspect. We don’t often think about the destruction or, in other words, what to do with the waste. As in many other industries, the CD/DVD replication business is trending toward sustainable packaging and other eco-friendly means of production, so that when discs reach the end of their life, they’re making the smallest possible impact on the environment. In addition to regulations trending toward more pollution controls for trashed CDs and DVDs, individual companies are taking the initiative toward sustainable packaging and printing. Recycled papers and cardboards are being used in the production of CD sleeves, and jackets can be made from 100 percent recycled fiber. These materials are not only eco-friendly, they are comparable to traditional products in terms of durability and longevity and aren’t limiting in terms of printing options. Plus, this new style of eco-conscious packaging is typically lighter and, therefore, cheaper to ship. When it comes to printing, it’s difficult to avoid some of the harsh, petroleum-based chemicals used in the production process, but now the printing process is trending toward more natural inks. Soy and vegetable extracts can be used as an ink base, and several ink producers have introduced products into the market that are compatible with existing printers. And with these “green” inks you won’t lose anything in quality; your print jobs will be flawless just like they’ve always been. Here at Replication Centre, we strive to be at the leading edge of currently available technology, and are always on hand to advise on every aspect of the replication process, so don’t hesitate to give us a call to discuss your individual requirements. Effective data storage is now impossible to deal with without CDs and DVDs. These mediums had revolutionised the way information is processed and accessed. The highest demand for quality replication services comes from well – developed countries and is strictly linked with their fast – growing economy. One of the biggest source of upsurge in the demand for replication services is also entertainment industry, fuelled by avid gamers, film and music fans, so obviously a huge target. Replication consists in copying the information written on your original master onto a “glass master.” The glass master is later used to make a stamper mold which serves as a copying medium. It allows to stamp the data from the original onto injection-molded DVD-ROM or CD-ROM discs as they dry. The copies are then lacquered, metallised, tested and packaged. The final packaging is suited to buyer’s requirements. Packaging guarantees sustainability of a discs by protecting it from external factors like heat, dust and direct sunlight. CD and DVD replication is a process of mass reproduction, which means you should consider it if you plan to make between 500 to 2000 copies of a data disc, music disc and video disc. This amount proves to be the most cost effective. The whole process is fully automated and takes between 7 to 10 days maximum. It is longer than standard duplication, which takes 2 – 3 business days, but the unit cost of replicated disc is lower. Replication is best to deal with CD – and DVD -ROMs and Blu-Ray discs. Replicated DVDs can contain 1 layer (DVD-5) of information, 2 layers on one side (DVD-9), 1 layer on each side (DVD-10) or 2 layers on each side (DVD-18). When comes to compatibility, a replicated disc will work on all DVD players and computer drives. Previously companies specialized in CD DVD replication were mostly interested in bulk orders. Before choosing which method (duplication or replication) is best for you should define your needs and balance costs. On December 26, Final Destination 5 is the first Ultraviolet enabled title to be made available to consumers in the UK.But what is UltraViolet exactly? You’d be forgiven for having never heard of it — but once you know what it is; you’re bound to either love or hate it. Basically, UltraViolet is a cloud-based library of your digital possessions. When you buy your first UltraViolet Blu-ray disc and slot it into your Blu-ray player, it will connect to the internet and ask you to make an account. This Blu-ray disc will then be forever connected to your UltraViolet account. There is a variety of useful benefits associated with using such a system. For example, you need never worry about losing the original disc, just log into UltraViolet and you can download a copy or stream it directly from the web. Also multiple devices can be used on the UV account. For example, once you register a Blu-ray disc at home, you can then stream it on your computer at work or on your smartphone. UltraViolet is the first ever completely legal way to download TV shows and movies, which you can start watching after a license is purchased on the UV online store. You’ll even be able to download your online purchases and burn them onto DVD or Blu-ray. Though for many people UltraViolet may be a way of finally being able to get rid of their discs and bulky plastic cases. There is a downside to this amazing new technology system. 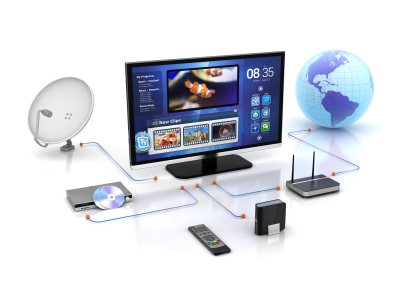 For starters,to play UV Blu-ray and DVD discs, you need to access your digital library to download your license key, therefore if you’re not connected to the internet, the TV show or movie simply won’t start. Also to consider, is the fact that your entire library of movies and TV shows will be stored in the cloud, and on the UltraViolet website there isn’t a single mention that your library will be private. And with almost every major studio, broadcaster, ISP, and tech company on board, there will inevitably be a lot of interest in the contents of your digital library. Because UltraViolet media cannot be played without internet access, information about what you a watch and when you watch it, could, in theory, be accessed and used for targeted advertising both on your TV and the web. UltraViolet; new revelation in how we access our entertainment or a new channel for Big Brother surveillance? The need for test and verification services is growing rapidly, because the content market is changing. It includes now not only physical product testing in the games and movie industries, website and software testing, but also 3D content and digital downloads designed for mobile devices. And a novelty like the arrival of 3D content affects all other aspects of the market and distribution channels. And changing content introduces unique errors that have to be corrected. So it is always the content that influences testing methods, not the other way around. The only thing that does not change is the need for convergence and compatibility to ensure client’s satisfaction. Testing is needed to ensure that the end-user experience is of the highest quality. Skimping on testing isn’t in anyone’s intrest. Both format and quality are subject to reliable methods of testing. As some stages of production became more stable, it is sometimes tempting to cut the procedures for quality assurance, but that would first require a full risk assessment and careful cost-benefit analysis. Blu- rays and BD –Live , with their ability to be overwritten, updated and edited with various applications leave entire room for compulsory testing. It seems that 3D testing will develop less rapidly as entertainment consumers need some time to digest each novelty step by step. This means HD displays and Blu –ray players will be the first stage. It will require some physiological nuances as well as extra knowledge about whether the content was shot in 3D from the beginning or converted from 2D to 3D. It needs to be remembered that all portal –dependent content requires different testing in terms of compatibility. It matters especially when content is to be played on mobiles and other portable devices. You are currently browsing the Replication Centre blog archives for September, 2018.